When was your last holiday on the Sunshine Coast. 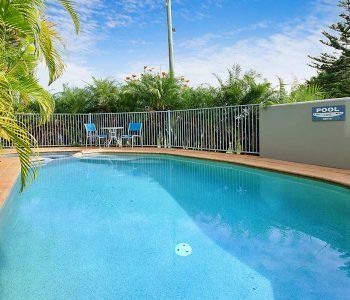 This Maroochydore self contained accommodation is just the thing for the work weary. 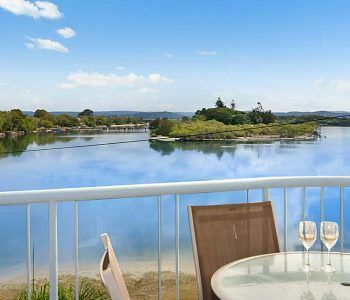 Come and recharge your batteries at this little idyllic apartment resort in Maroochydore. With pretty river views, a private rooftop deck with a spa pool and BBQ, your holiday accommodation is set. Whether you require 1, 2 or 3 bedroom accommodation The Reflections Holiday Apartments can satisfy your requirements. Singles, couples groups and families are all welcome. Come and discover Maroochydore on the Sunshine Coast and the surrounding townships of Mooloolaba, Mudjima and Coolum. There are plenty of opportunities to explore the beach life, whether you take the family to Mooloolaba — it’s one of the most family-friendly beaches around, or if you like a challenge on the surf, the Alexandra Headlands usually provides a decent wave and Coolum offers some lovely long stretches of sand for those romantic evening walks along the beach. Maroochydore is also very central to several local golf links. The Reflections Holiday Apartments is also a very reasonable option if you are thinking about having a Sunshine Coast golf tour with some mates. From our Maroochydore location, Twin Waters Golf Club, Mount Coolum Golf Club, Caloundra Golf Club, Headland Golf Club and Peregian Springs Golf Club are all within a half hours drive. There’s also the local surf clubs, which number a half dozen or so that always make for an entertaining and satisfying night out. Easy. So have you decided when your next holiday on the Sunshine Coast is going to be? This Maroochydore self contained accommodation might just the thing for you, your partner and your family. Come and recharge your batteries at Reflections Holiday Apartments in Maroochydore.